• Friday, 3rd of March 2017 | 2 p.m. - 8 p.m.
• Saturday, 4th of March 2017 | 9 a.m. - 6 p.m.
• Sunday, 5th March 2017 | 9 a.m. - 6 p.m. 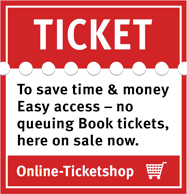 Ticket kiosk closes 30 minutes before closing time. Exhibitors and participants 2016 With 350 exhibitors and participants from 14 nations, amongst others from Belgium, Denmark, Germany, France, Italy, Luxembourg, the Netherlands, New Zealand, Norway, Austria, the USA, Great Britain, Sweden and Switzerland, the ANTWERP CLASSIC SALON had a very successful record in 2016. 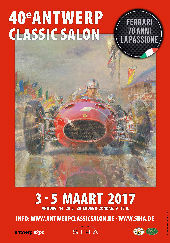 Expositie enverkoop van classic cars, engines, restoration equipment and supplies, new and used accessories, interiors, maintenance materials, literature, models, objects of art with the theme "classic cars", club stands and museums with presentations of the most beautiful cars.